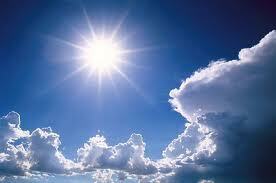 Every summer we are warned to protect ourselves from the sun because the rays can cause cancer. But did you know that the sunscreen you’re applying can actually accelerate cancer? I thought the purpose of sunscreen was to protect our skin? The crazy thing is (and I’m not surprised) is that the FDA has taken more than 30 years to come up with regulations for sunscreen…unfortunately, they don’t see the dangers in the toxic ingredients and believe that they are safe. My go-to website is www.ewg.org, they’ll lead you in the right direction by providing you with a database that ranks products according to their safety. If you go to www.ewg.org/sunscreen you can get all the info on non-toxic options for protecting your skin. It’s no wonder we have such a problem with Vitamin D deficiency! I’m not saying lay out in the sun all day long, but we should not fear the sun. Benzophenone – 3 (B-3) – A sunscreen preservative and UV ray deactivator that – while naturally occurring in certain flowering botanicals – can still potentially trigger DNA damage. Worse still; two days after application on the skin, it is detectable in urine. Retinyl Palmitate – You’d think that this vitamin A-derivative would be perfectly safe, but new research indicates that when incorporated into sunscreen and exposed to the intense rays of the sun, this ingredient ends up elevating one’s risk of succumbing to skin cancer (among other health concerns). I don’t know about you, but when I saw this list for the first time, not only was I feeling a bit overwhelmed, but also wondered what the hell I’ve been putting on my skin for all those years. To be honest, I haven’t used sunscreen in a few years because I feared the ingredients. 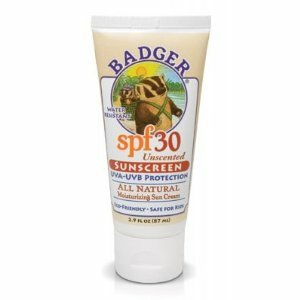 I just ordered Badger natural sunscreen (www.badgerbalm.com) for my husband (because he has very fair skin) and he likes it. I must warn you, a little goes a long way…it goes on a bit thick. Please check out EWG’s site for an extensive list of safe sunscreens! 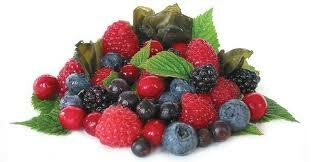 Ok…so I bet you didn’t know that you can actually enhance your body’s natural SPF through changing up your diet?!? So, load up on raw fruits, veggies and superfoods (spirulina and chlorella) to build up that internal sunscreen and block some of those UV rays! And before you apply the sunscreen PLEASE read the ingredient label! 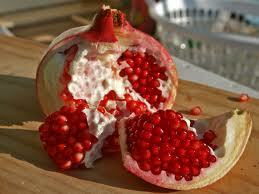 Next Would you like some painkillers with that?